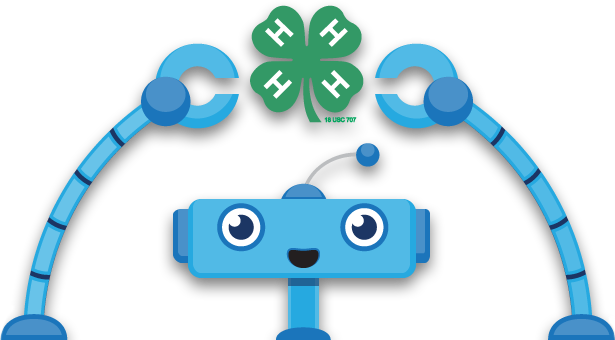 The 4-H robotics program adheres to the experiential learning model and philosophy. We strive to help youth “learn by doing”. Another key concept is the use of the engineering design process when working to find solutions to building or programming challenges. A key point that we often repeat is that “there is no set answer”. Youth may have to work through the engineering design process several times before a solution is achieved. Volunteers should resist the urge to ‘fix’ the problem or do it for the youth. Volunteers help youth best by helping them break problems down into manageable pieces. Celebrate each victory and remember to keep learning fun!